● If you’re looking for a free shipping coupon, you’ll have to dig a little deep. Free shipping deals are usually paired with other sitewide discounts on minimum orders; rarely are they presented alone. 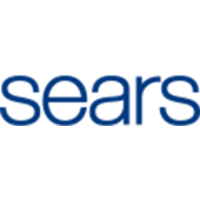 ● Sears’s highest discounts usually apply to specific items, with sitewide offers rarely running more than 10%. ● Visit the overstock section to save up to 55%. Sears is a department store that has an array of products for the home, office, for yourself, or even your vehicle. They carry home decor, clothing for men, women, and children, and even household appliances. On their website you can take a look at the different product categories that they have to offer or you can search for a specific item that you might be interested in. If there are any large sales they will advertise them on the front page of the website otherwise you will have to visit the sale section or find particular items that are reduced by browsing through product categories. For most up to date offers check out Sears on Facebook and Twitter or contact Sears Support for any questions.